American Medium is pleased to present Imperfect Tools For Navigation, an exhibition curated by High Tide as part of Winter Sessions. The artists in Imperfect Tools for Navigation draw from their personal histories and the collective zeitgeist to conjure new moments that bring ecstatic truths to light. 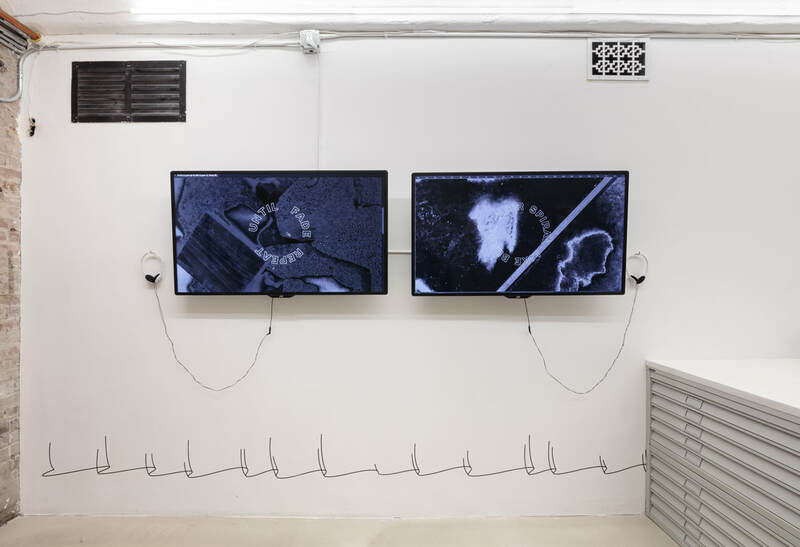 Bouché, Jackson and Morris scan histories both recent and deep to create works using sculpture, photography, collage, and video. As we look towards an uncertain future, this act of reframing and reclaiming our personal and inherited past(s) is a radical act that functions as a beacon forward. Like using a rear view mirror, as we move through time our ability to understand our history must be continually reframed, with certain details fading from view and others appearing larger than they once did. Our ability to successfully utilize this imperfect tool allows us to travel safely forward. In this way perhaps the simple act of recalling a memory can simultaneously lead us closer to our present self while further obscuring our past. 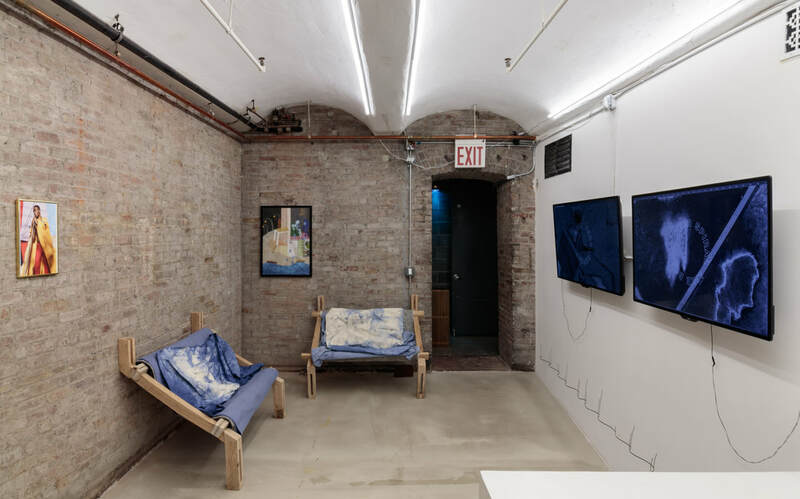 This process is further complicated as we increasingly rely on the internet, a nebulous bank of collective memories and cultural artifacts, to contextualize our present and track our histories. As Wikipedia entries shift and expand, YouTube videos are taken down, and paywalls go up, the memories we rely on the internet to catalog, like the memories we store in our minds, can become distorted or fall just out of reach. This exchange can be tragic, but it can also be empowering. 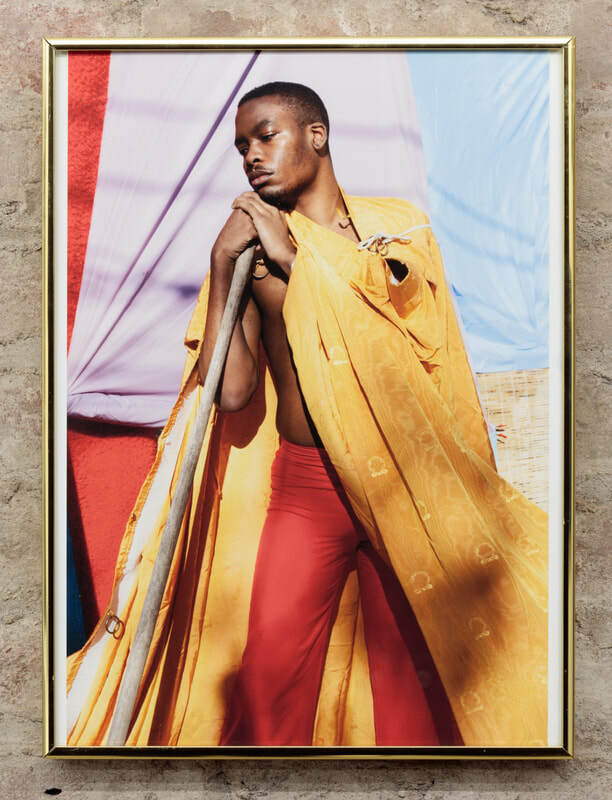 Devin N. Morris is a Baltimore born, Brooklyn based artist who is interested in abstracting American life and subverting traditional value systems through the exploration of racial and sexual identity in mixed media paintings, photographs, writings and video. His works prioritize displays of personal innocence and acts of kindness within surreal landscapes and elaborate draped environments that reimagine the social boundaries imposed on male interactions, platonic and otherwise. 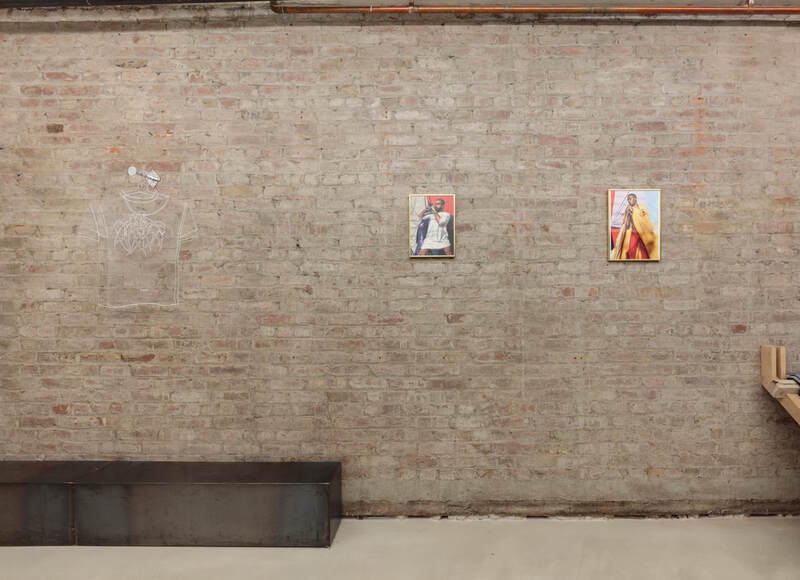 The use of gestural kindnesses between real and imagined characters are inspired by his various experiences growing as a black boy in Baltimore, MD and his later experiences navigating the world as a black queer man. Memory subconsciously roots itself in the use of familiar household materials & fabrics, while symbolically he arranges it. 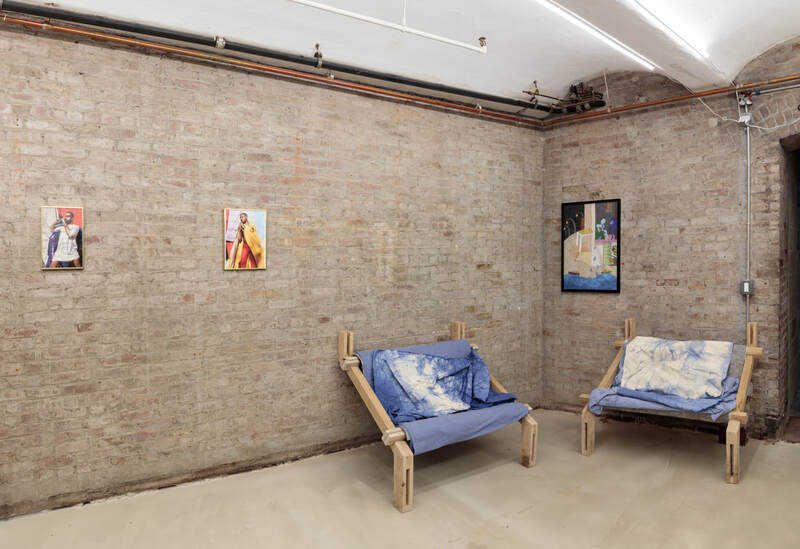 Looking to buoy his new realities in a permanent real space, Morris posits his reimagined societies as a prehistory to futures that are impossible to imagine. James Bouché (b. 1990) is an artist living and working in Baltimore, MD. His work explores the overlap between post-minimalist aesthetic and contemporary subcultures. 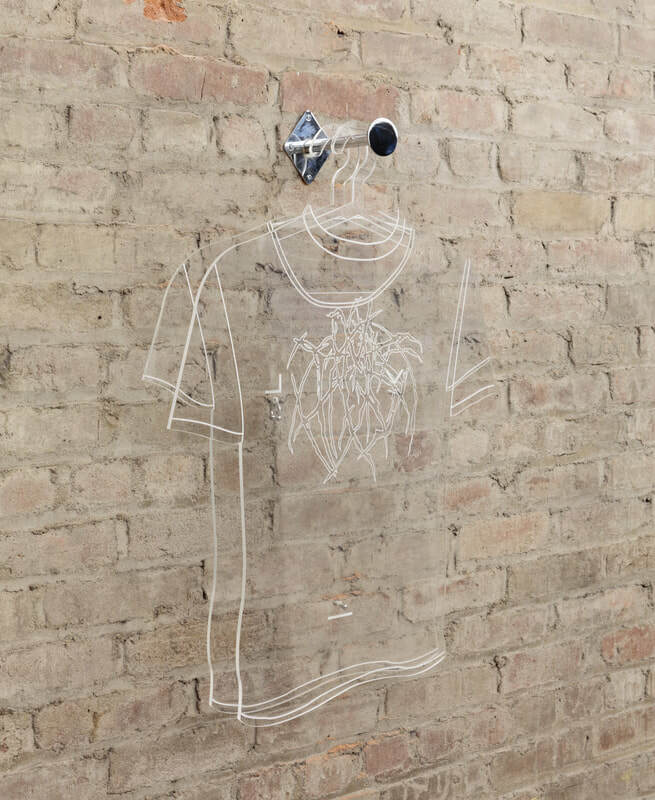 Inspiration is drawn from fictional realities and the works are presented as props, turning the gallery into a minimal stage. The viewer becomes a passive participant, like a ghost moving through space. 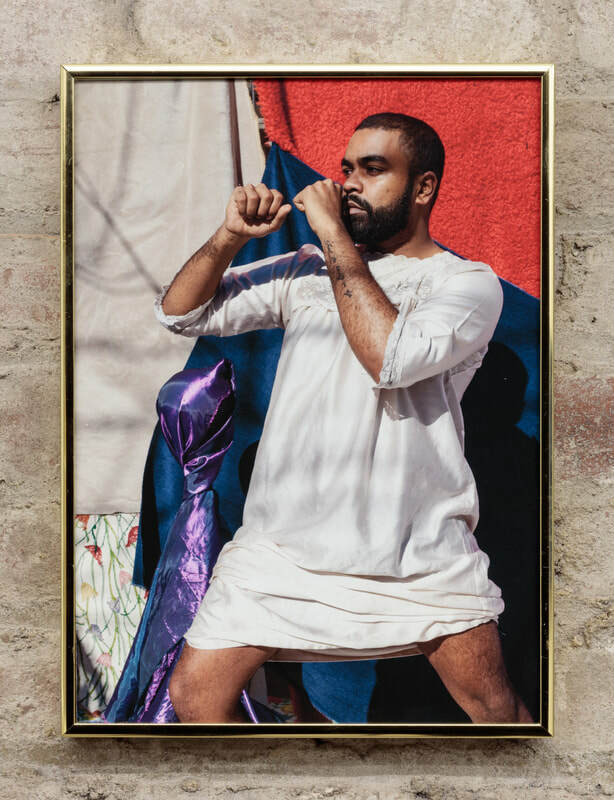 Bouché's recent work represents the connection between sexuality and religious upbringing. Jared Rush Jackson (b. 1996 South Orange, NJ) is a Philadelphia based artist interested in the intersection of language, Blackness, and technology. 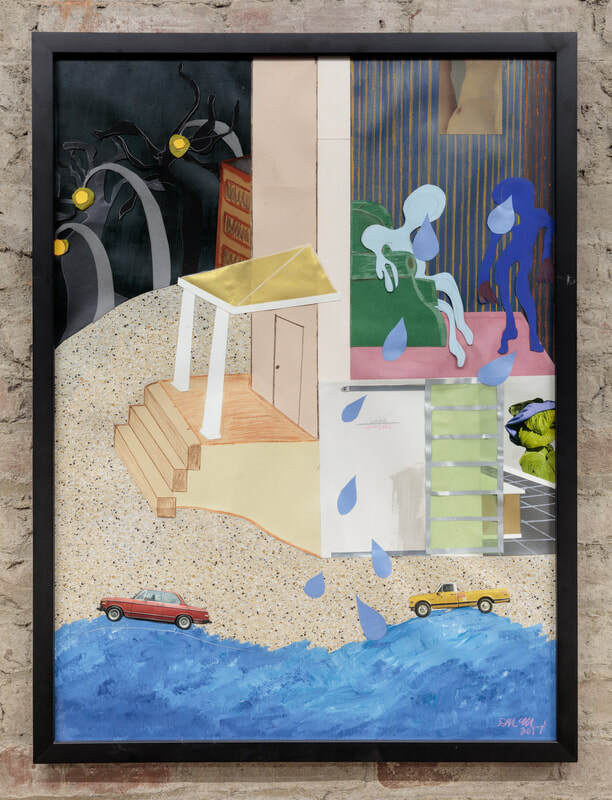 In both material and time-based works, Jackson’s work communicates through layers of both visual and text-based allusions and signifiers, leaning towards an ambiguous— yet sometimes sarcastically blunt and humorous— investigation of contemporary Black culture and visual culture. Recognizing social media as the biggest catalyst in the way society communicates, Jackson is invested in emphasizing the nuances in Black communication and language; in both digital and analog environments.